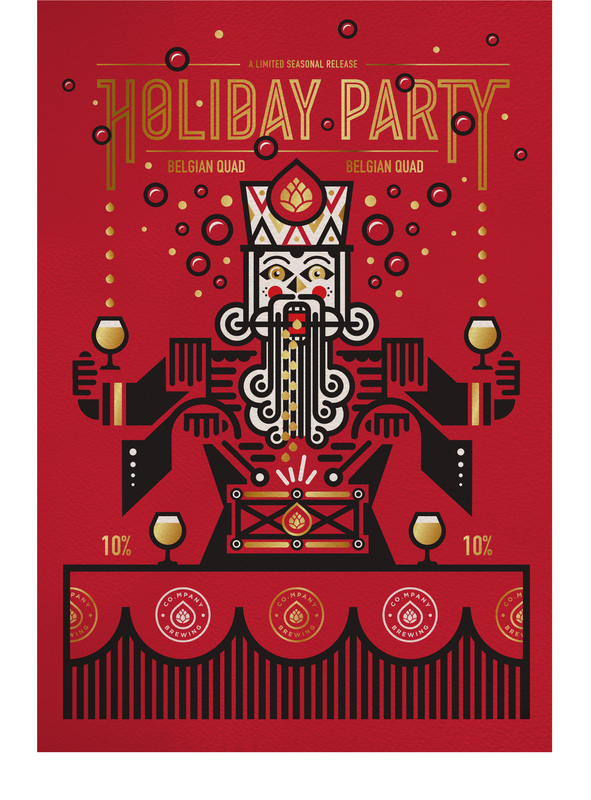 Holiday Party is a limited seasonal release aged in rum barrels for a few months. What sums up a holiday party like music, overconsumption and 4-handed nutcrackers? Posters and limited edition glassware are in production. They will be available in a few weeks. More importantly, so will the beer.